Congratulations to all the ladies who took part in the 25th Inter-Club Team Championship at Langebaan Country Estate 4th, 5th and 6th May 2018. 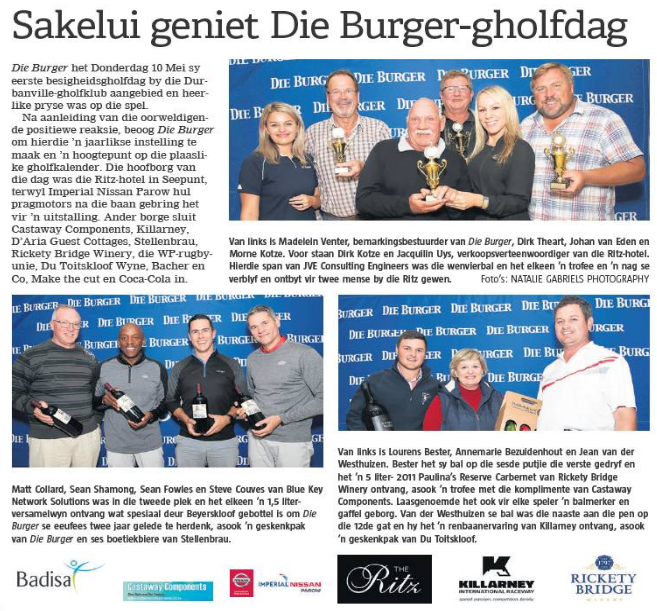 Durbanville had 8 teams (16 players), and even though we did not win, we gave everyone a good run for their money. 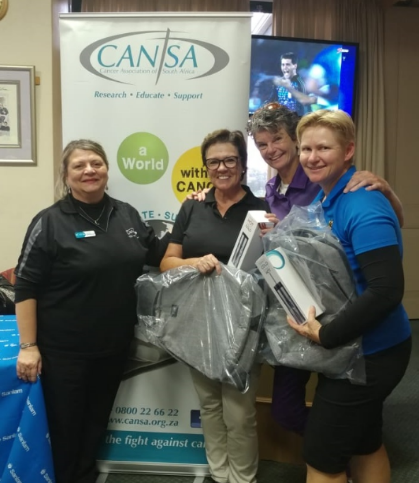 Great day was had by all at the DGC Ladies Sanlam Cancer Challenge on the 22nd May 2018. They will be playing in the Regional Finals on the 29th July 2018 at Clovelly GC– Good Luck ladies. 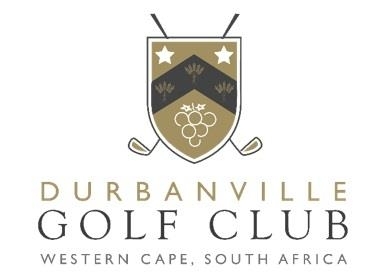 Congratulations to Jordan Rothman (A Division - 2nd) and Tracey Glasby (C Division - 4th) who represented Durbanville at the WP Champion of Champions, held on Sunday, 27th May 2018 at Kuilsriver Golf Club. 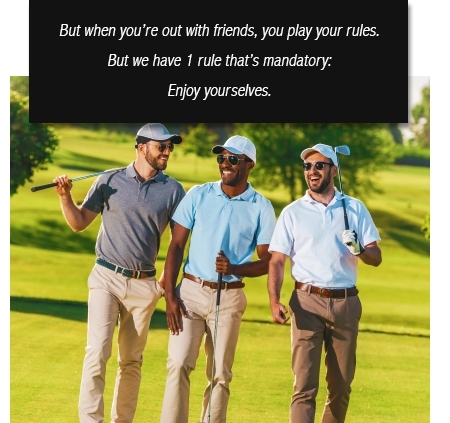 We will be having our annual Friendship Tournament on the 26th June 2018, which will be hosted by Metropolitan Golf Club. If you are keen to play, please put your name on the list outside ladies locker. Two further rounds of the Winelands Seniors League were due to have taken place over the past month but with the heavy rainfall forecast last Monday, a sensible decision was made to postpone the matches at Strand in which Durbanville were due to take on the current holders, Devonvale. 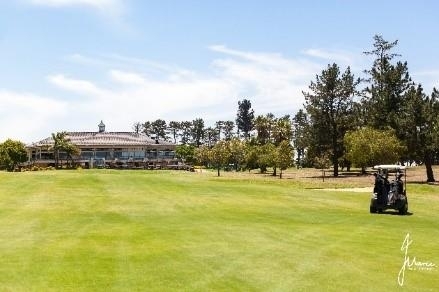 That left just last month's match in which Durbanville faced high flying, log topping Bellville at Paarl Golf Club, coming away with a very creditable halved match and denting Bellville's 100% record. It didn't look too promising when our hitherto unbeaten pair of Bob Rees and Gerald Muller suffered a 5&4 hammering by an opposition who were a nett 11 under par after the 14 holes. However, the new pairing of Neil Rix and former Bellville member Pieter van Wyk came back from 3 down after 10 to secure a 2&1 victory and square the tie. Malcolm Young and Jan Erasmus also came from behind to level only to lose on the 18th green for the second time in three matches. This time, a fortuitous opposition bounce off rocks in a dam onto the green denied them a half. Gordon Simmons and Allan Kearsey then held on for a 1 up victory to level things at 2-2 meaning it all came down to the final pairing of Peter Seward and Bert Vos. This match too went to the 18th as they came from behind to earn a half, and a deserved point for the team, with Bert's final long putt finishing tantalisingly close to gaining a famous win. Despite having a game in hand, and six matches yet to play, Durbanville will do well to catch Strand, Bellville, Parow and the current League Champions Devonvale who seem to be pulling clear of the remaining teams. The next match is at the end of May at Strand against Devonvale. 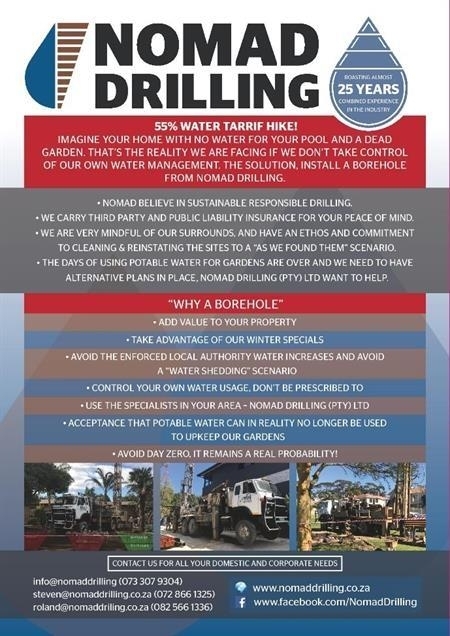 Badisa, die NG en VG Kerk se barmhartigheidsarm, was die begunstigde van Die Burger se gholfdag op Donderdag 10 Mei by die Durbanville-gholfklub. Dis lekker om te sien ons predikante kan selfs goed gholf speel ook! 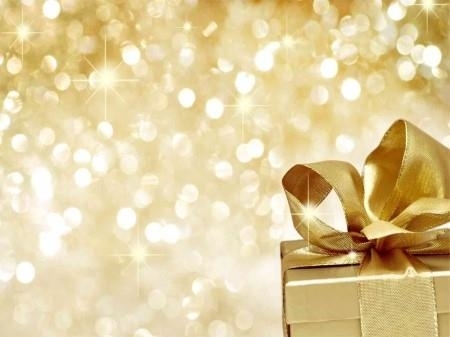 Een van die pryswenners was Lourens Bester, wat sedert 1 Februarie in 'n internskappos by Parke-gemeente aangestel is. Nou is die vraag net of of daar iewers 'n gemeente is wat in dieselfde liga as Lourens en sy kollega (Charl Stander) is as dit by gholf kom! Playing in the last group at yesterday's Premier Amateur Tour (PAT), Steenberg Open, Durbanville's Tyran Snyders thought he had squandered his chance to win on the PAT. He had a one-shot lead over the field going into his final hole, and after three putting for a six on the par 5, 18th hole, he had now put himself in a play-off with fellow juniors, Sam Simpson and Sean Cronje. With the light fading rapidly a two-putt par in the play-off was eventually enough for Snyders to pick up his Open win. He had carded rounds of 70 & 69 (139) in regulation play. 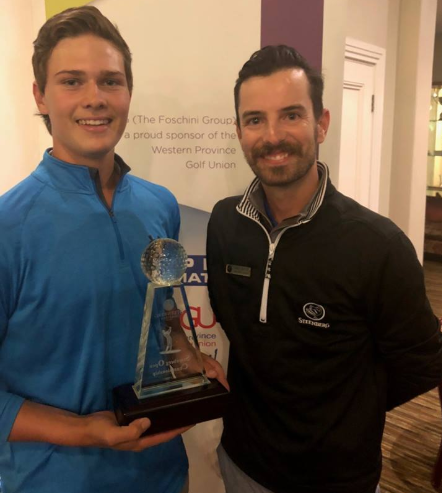 Snyders form has continued from the WP Amateur Stroke Play held at Milnerton last month where he had his highest finish in a national tournament with rounds of 74-66-70-62. His, bogey free, final round 62, was a course record - he shares the record with the Amateur Champion, Wilco Nienaber who signed for a first round 62 in the same tournament. Bellville's Sam Simpson, who had only the day before returned from the Challenge IPT in Irene, jumped up the leaderboard with an eagle of the par 5, 12th and put himself into contention. Durbanville junior, Sean Cronje played his best golf in the morning round. Leading at five-under-par after 18 holes, he was unable to maintain that momentum and signed for a 67 & 72 (139). He had a nervous wait in the clubhouse as Snyders was in the last group to finish. Defending champion, Weyers Janse van Rensburg, who had also just returned from the Challenge IPT finished tied 5th on two-under-par 70 & 72 (142). 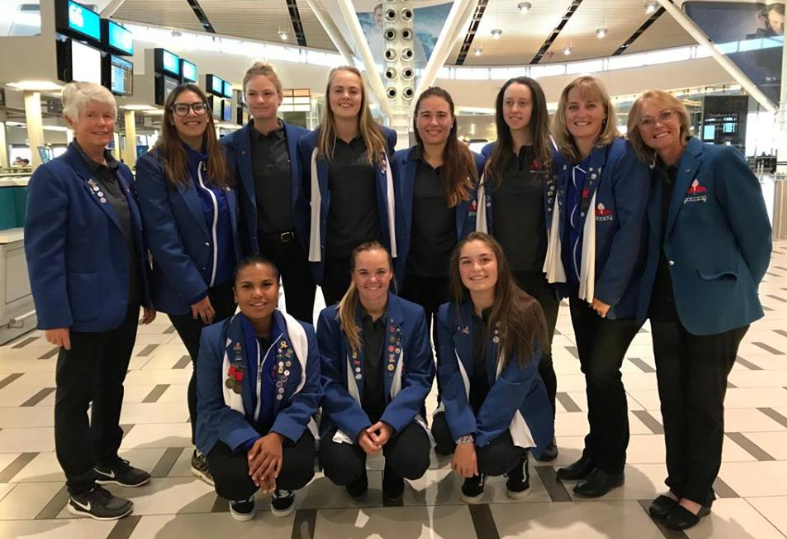 Three WP Golf women's teams head up to Waterkloof Golf Club in Pretoria (formerly known as Monument Golf Club) to take part in the WGSA 72 Teams Championships which starts on Monday. KZN are the defending champions, and the WP A Team will want to improve on last year's 8th position. Strengthened by the return of Kelly Erasmus who has completed her 41/2 years university in America, Kaylah Williams and Jordan Rothman will draw on last year's IPT win to topple the champions. The WP A team have not won this event for quite some time; their highest finish was second place behind KZN in 2015. The B team includes Katia Shaff, Zayb Fredericks and Vicki Traut; Iman Adams, Zilke Bal, and new comer to provincial golf, Steenberg's Bobbi Brown, make up the C Team. The teams are managed by Anne Roos and Daphne Sole. The Waterkloof course is laid out on the slopes of a hillside. Even with the generous width of the kikuyu fairways, the players will do well to stay clear of the 4000 indigenous trees that were recently planted on the course. Doglegs are thrown into the mix with some tough par-four’s and the threat of water hazards are ever-present, so course management will be vital for the players to shoot low scores. TSHWANE, 15 May 2018 – University Sports South Africa and Central Gauteng both came up trumps on day three of the SA Challenge Cup as the GolfRSA Juniors continued their unbeaten run in the 16th edition of the team’s event at Irene Country Club on Wednesday. 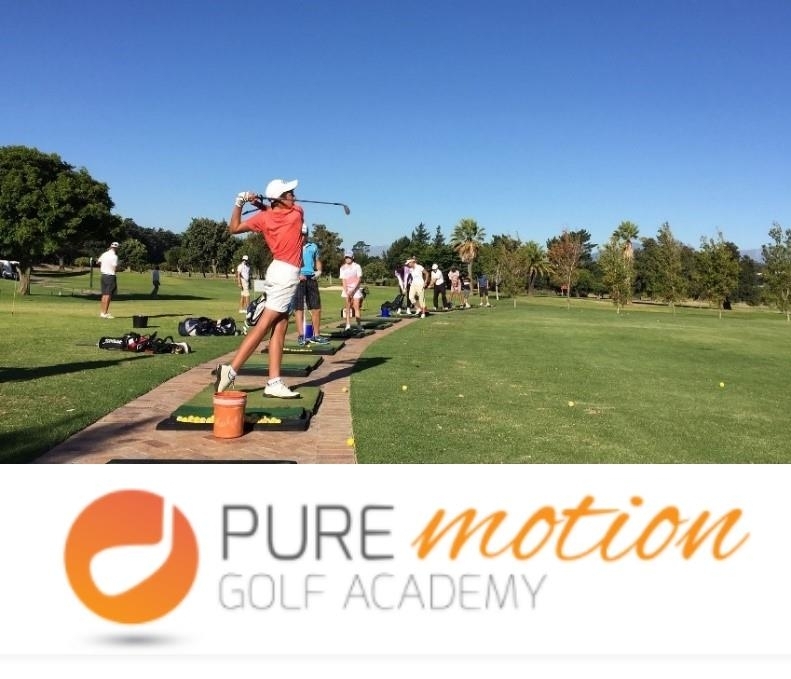 The GolfRSA Juniors mowed down the GolfRSA Presidents team 8 – 4 to remain in the top spot on the grid. The defending champions have six points in hand and lead by two from University Sports South Africa (USSA), who defeated Gauteng North 7 – 5. Gauteng North had the upper-hand with 2.5 points from the Foursomes, but USSA struck back in the Singles to win the match. Calvin Ferreira and Gregg Gilson both won 4 & 3 to put USSA on the attack and James Kennedy continued the beating when he beat Armand van Graan 2 & 1. Reece Haikney, who captained the GolfRSA Juniors to victory at Atlantic Beach last year, downed Wessel Duvenhage 2-up to give USSA a total of 5.5 points. Kelso Hannay and Gianni Pera reeled in 2 points for the Daisies, but Lieben Sheard guaranteed the win for USSA when he birdied the 18th to beat Antoine Sale 1-up. The final game between USSA number one Altin van der Merwe and Stals Swart ended all-square. Central Gauteng carried a 3 – 1 lead into the Singles, but Western Province battled valiantly to make the five-time champions work hard for their win. Luca Filippi took out Central’s number one Karabo Mokoena 4 & 3, Neswill Croy beat Steven le Roux 4 & 2, Sean Howell won 3 & 2 against Angus Klintworth and Western Province briefly had a 2 point lead when Weyers Janse van Rensburg defeated Samual Mckenzie 2-up. Keelan van Wyk turned the tide for Central Gauteng when he downed Samuel Simpson 3 & 2 and Haydn Driver levelled the match when he ousted Freddie Spencer 3 & 2. Shaun Jones and Cole Stevens won the final two games 2 & 1 to secure a 7 – 5 win. 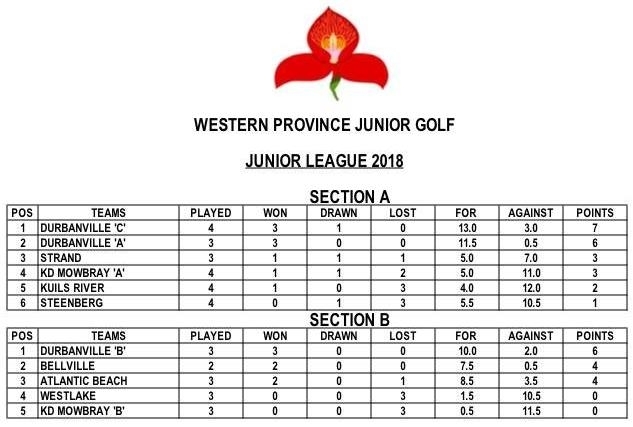 However, Western Province held on to third spot in the log with 3 point, courtesy of a draw with the GolfRSA Presidents Team in round one and a second round victory over Gauteng North. Central Gauteng, who lost to USSA on the opening day and drew with the GolfRSA Presidents Team in round two, moved to fourth with 3 points and is just half a games point behind Province. 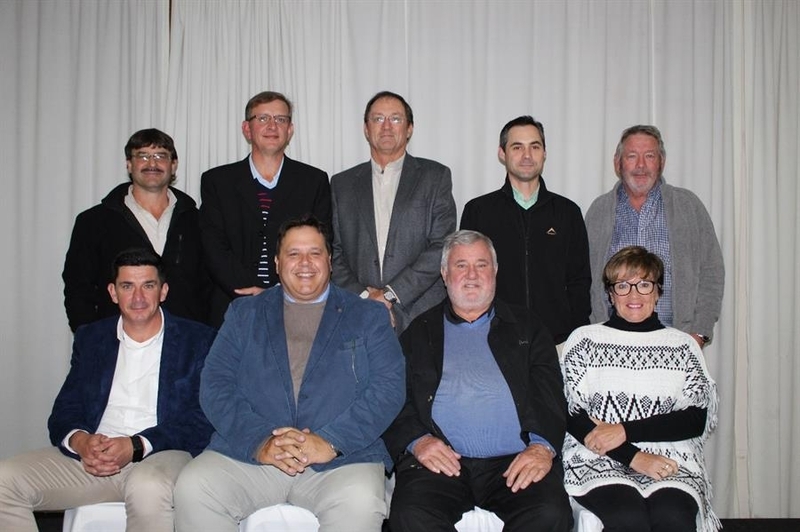 For a third day running, the GolfRSA Presidents Cup team dominated the Foursomes to lead 3 – 1 and Carl Mwale took their tally to 4 points when he beat Saul Moss 5 & 4. However, Yurav Premlall, Casey Jarvis, Kian Rose, Ben van Wyk, Martin Vorster, Christiaan Burke and Bradley de Beer rallied to win the remaining seven games. 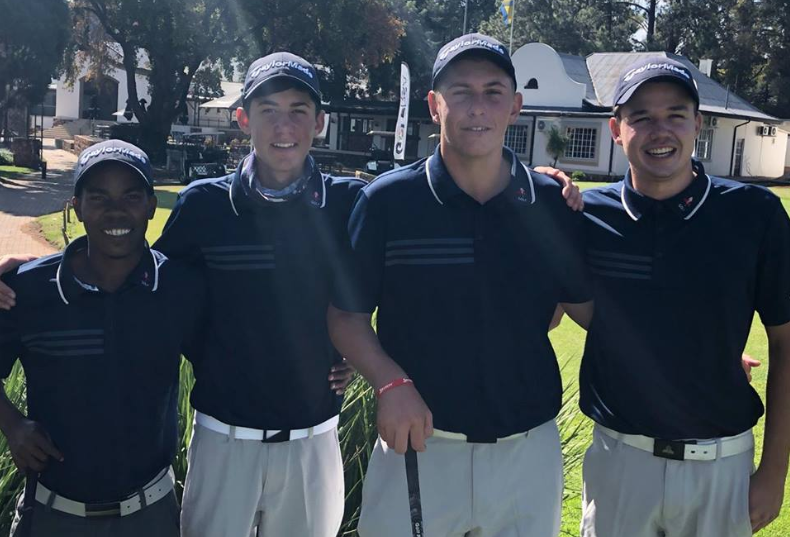 The GolfRSA Juniors face Central Gauteng in the fourth round, the GolfRSA Presidents Cup team play Gauteng North and USSA take on two-time champions Western Province. 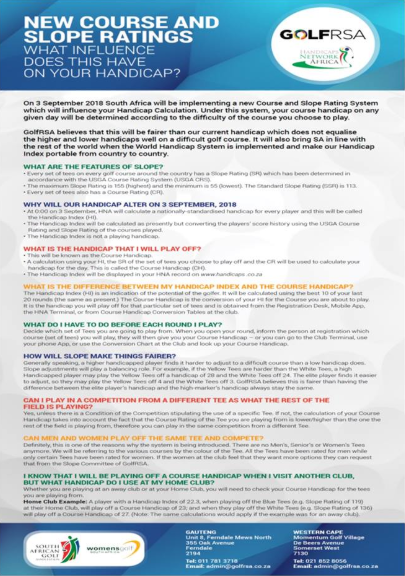 On 3 September 2018 South Africa will be implementing a new Course and Slope Rating System which will influence your Handicap Calculation. Under this system, your course handicap on any given day will be determined according to the difficulty of the course you choose to play. 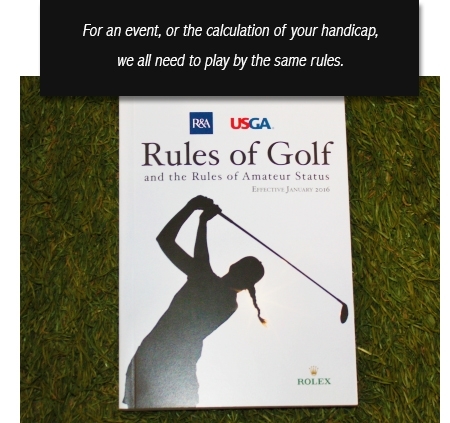 GolfRSA believes that this will be fairer than our current handicap which does not equalise the higher and lower handicaps well on a difficult golf course. It will also bring SA in line with the rest of the world when the World Handicap System is implemented and make our Handicap Index portable from country to country. 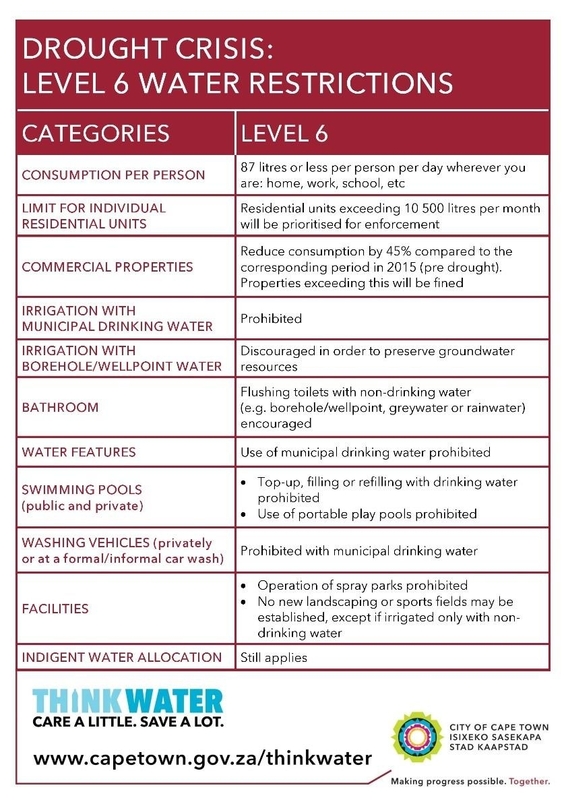 Click here for more information and an enlarged version of the poster. 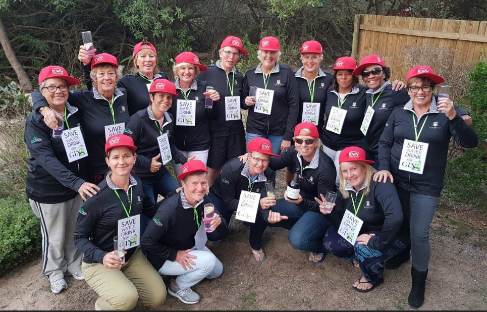 TSHWANE, 22 May 2018 – Gauteng North A strengthened their bid for Swiss Team Trophy glory with two solid rounds on the second day of the SA Women’s 72-Hole Teams Championship to open up a yawning gap on their closest pursuers. The home favourites took a five stroke lead into the second day at Waterkloof Golf Club after posting six-under-par 138 in round one. Larissa du Preez fired a one-over-par 73 and Lenanda van der Watt added a 74 for a second round three-over 147 that moved the team eight shots clear of Ekurhuleni A. In the third round, Danielle du Toit shot 73 and Du Preez backed her up with a 75 to keep Gauteng North A in the driver’s seat. The Daisies lead on one-over 433 with Ekurhuleni seven shots back, while the Gauteng A-team finished a further three shots adrift. Like most of the competitors in this year’s championship, the Gauteng North team also struggled to come to terms with the greens at the Monument Park layout. Gauteng’s Woo-Ju Son (72) and Zethu Myeki (75) combined for a second round total of 147. Son followed with a 76 and Kajal Mistry fired a 69 to post the low round of the day and help the team to a third round 145 and third on 443. Click here for the third round scores and here for the Individual (Top 20) scores. Click here for May’s Competition Results. 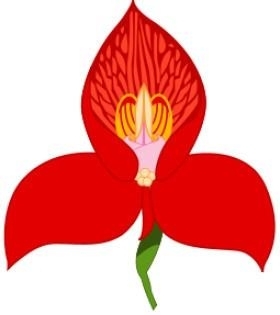 Click here for the May Course Report. Click here to see luck at its finest on the golf course. • Jason Day won for the second time this season at the Wells Fargo Championship (3rd to 6th May) at Quail Hollow: - "One of the best wins I have ever had. You play, sit there and play mental games with yourself, subconsciously saying, 'You can't do this. You're going to fail, you're going to fail…I just kept on saying to myself, 'Forget about it and keep pushing.'" • Webb Simpson returned to the winner’s circle for the first time in four years after four superb rounds at THE PLAYERS Championship (10th to 13th May) at TPC Sawgrass,: - "It was harder than I thought. There's so much noise in front of us with Tiger, and you wonder what everybody is doing. Once I got to 17 and the ball was on the green, internally I was celebrating." • After five top ten finishes in the last six years, Francesco Molinari finally won the BMW PGA Championship (24th to 27th May) at Wentworth: - "It's amazing. I've been close so many times. If I could pick one tournament to win in my career it would be this one so to finally get over the line was amazing. I can't wait to be back next year…I came into this week knowing that I was a long way back in the Ryder Cup and that something pretty special needed to happen. We are halfway there and next week is another important week from that point of view and hopefully another successful week for me." • Justin Rose held strong to win the Fort Worth Invitational at Colonial CC in Texas. He started the final round with a four shot lead after opening rounds of 66-64-66 and despite being put under pressure from the get-go, he shot another 64 to win by three on 20-under 260. Brooks Koepka shot a 63 to finish second for a sixth time on Tour while Emiliano Grillo finished third on 16-under after a 64. Kevin Na tied the course record earlier in the day with a 61, which saw him finish in fourth place on 14-under. Louis Oosthuizen tied for 5th on 10-under; Tyrone van Aswegen tied for 14th on 7-under and Rory Sabbatini tied for 20th on 6-under. 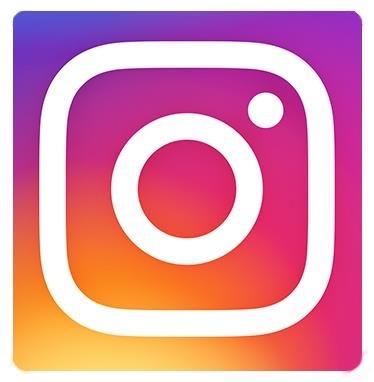 • It came down to the wire at the BMW PGA Championship at Wentworth with Rory McIlroy narrowly missing an eagle at the last to finish alone in second on 15-under. Francesco Molinari had a bogey-free weekend and improved on last year’s second place finish with a win on 17-under 271, while last year’s winner Alex Noren tied for third on 14-under. Branden Grace had four rounds under seventy to finish tied for 5th on 13-under, while Darren Fichardt and Dean Burmester had good weeks too, finishing 7th on 12-under and in a tie for 11th on 9-under respectively. Jacques Kruyswijk and Erik van Rooyen finished in a large group tied for 20th on 7-under. • On her 22nd birthday, Minjee Lee won her fourth LPGA title at the LPGA Volvik Championship at Travis Pointe Country Club in Ann Arbor. She shot a final round 4-under 68, which included a birdie at the last, to win on 16-under 272, one shot clear of In-Kyung Kim. Moriya Jutanugarn finished a further two shots back on 14-under. • Australian Cameron Davis won his first Web.com Tour title at the Nashville Golf Open Benefitting the Snedeker Foundation. He started the final round six off the lead and shot a 7-under 65 at the Nashville Golf and Athletic Club, which included a birdie at the last, to win by one on 18-under 270. Kevin Dougherty, Josh Teater and Lanto Griffin tied for second on 17-under. • Paul Broadhurst won his second senior major in style at the KitchenAid Senior PGA Championship at Harbor Shores. 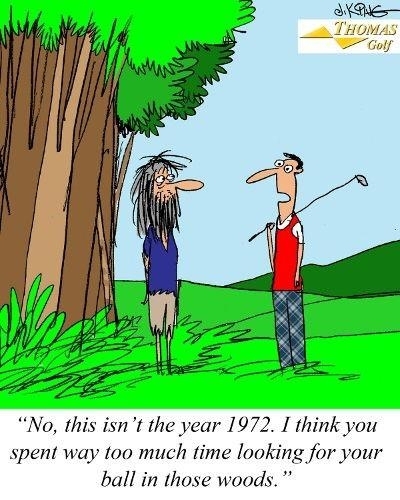 He equaled the best 72-hole score in the tournaments history after rounds of 72-66-64-63 which saw him finish on 19-under 265 and gave him a four shot win. Tom Petrovic finished and Scott McCarron and Jerry Kelly tied for third on 14-under. Miguel Angel Jiminez was 5th on 12-under; Chris Williams tied for 6th alongside Colin Montgomerie on 11-under and David Frost finished 18th on 7-under. • Minkyu Kim won the Challenge Tour’s D+D REAL Czech Challenge, and at the age of 17& 64 days became the youngest winner on the European Challenge Tour, even beating Matteo Manassero’s record on the European Tour. He had a two-shot lead going into the final round and shot a 6-under 66 (30 on the back nine) to finish on 20-under 268. Sebastian Soderberg finished second on 17-under. Congrats to Anthony Michael who had a final round 69 and finished in a four-way tie for third on 14-under. 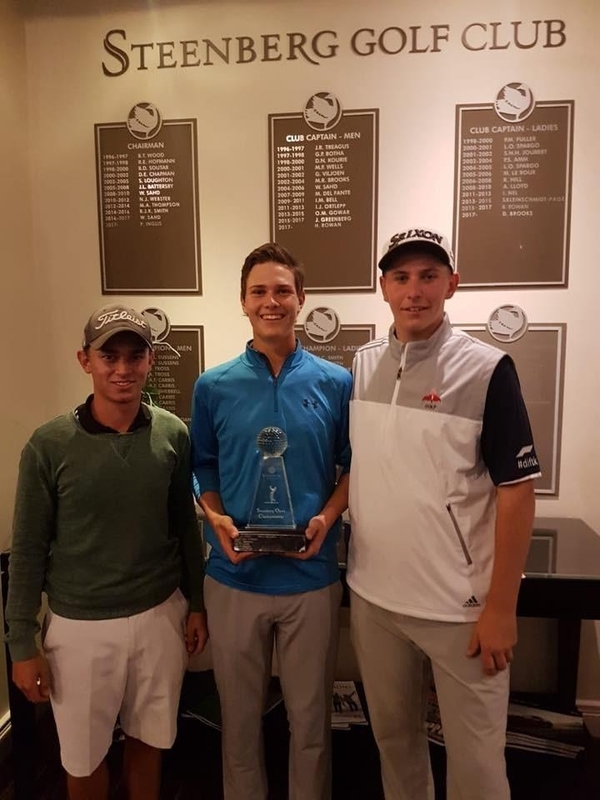 • Dylan Mostert won his second Big Easy IGT Challenge Tour title in a play-off at State Mines Country Club. He birdied the 18th hole in regulation play to set the target at 9-under 207 and that was tied by overnight leader, Heinrich Bruiners, who also made a three at the last. In the play-off, Mostert once again made birdie to take the title. Thabang Simon tied for third on eight-under with Pieter Moolman. • Randpark’s Ruan Botha won the Southern Cape Mid Am at Mossel Bay GC. He shot rounds of 70 & 68 to finish on 6-under 138. He won by three over Gerlou Roux. Ernest Botha and Cameron Johnston tied for 3rd on 1-under. 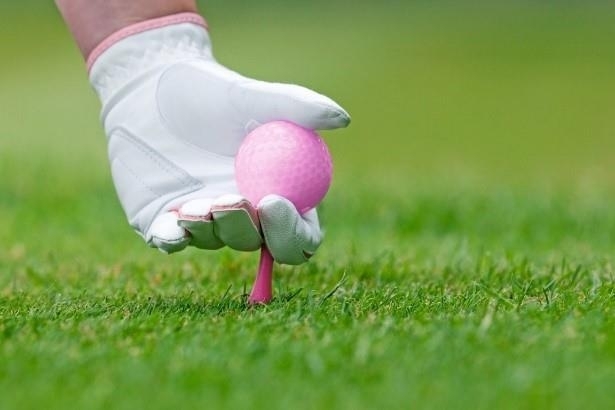 • Gauteng North (Danielle Du Toit, Lenanda van der Walt and Larissa du Preez) had a wire-to-wire win in the SA Women’s 72-Hole Team Championship at Waterkloof Golf Club. Their rounds of 138, 147, 148 and 146 saw them lift the Swiss Team Trophy on 3-over 579, seven-shots clear of Ekurhuleni A. Gauteng A finished third on 591. Ekurhuleni’s Caitlyn Macnab tied for first alongside Danielle Du Toit in the individual competition on 3-over 291. Ekurhuleni B (Kiera Floyd, Teagan Lubbe and Alisa Rich) won the Challenge Trophy and will be promoted to the Swiss Team Trophy in 2019. They finished on 618 to win by four over Boland B. • Thomas Bjorn has appointed five players to be his vice-Captains at the Ryder Cup in Paris in September. Lee Westwood, Luke Donald, Padraig Harrington and Graeme McDowell will join Robert Karlsson in their quest to lead the European Team to victory. • The Sunshine Tour will be making a welcome return to Leopard Creek this December for the European Tour co-sanctioned Alfred Dunhill Championship. Leopard Creek has undergone some major changes over the last year so it will be great to see all of those, but it’s also just such a great event which is enjoyed by the players and tournament staff alike. Brandon Stone is the defending champion and will hopefully be availabe to tee it up from 13-16 December. Johan Slabbert will be sending another fantastic read in the June Newsletter so stay tuned! 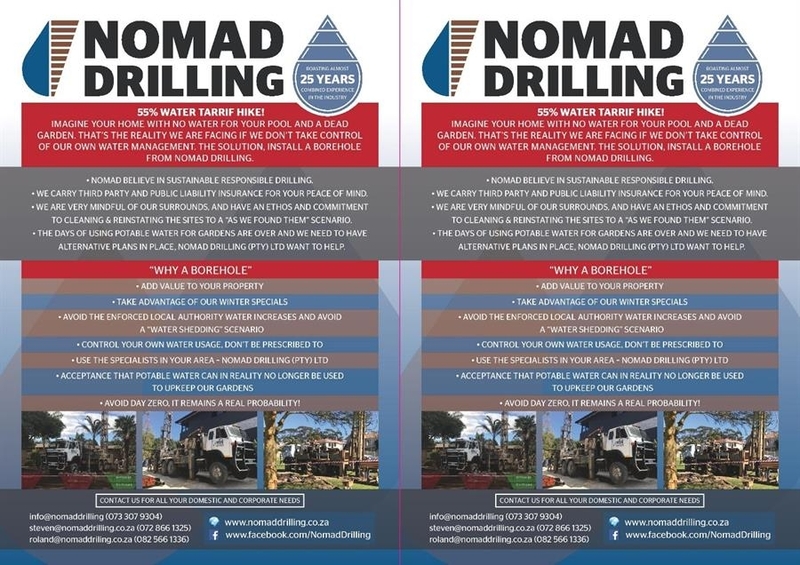 Click here for footage from Nomad Drilling who are putting in a borehole on our course. Water at DGC was found 95 meters below the ground. Read a little bit more about the incredible company that are going to help us with the drought we are facing. Congratulations to our Junior Teams for the phenomenal results! Emile Kruger, Jaime Pombo, Emile Raath, Jor Strauss, Pieter van Schoor, Joss Viljoen, John Bougas, Makime Ibars, Paul Ian McKenzie, Seugnet Nelson, Ronald Vincent Oates, Johan Rothman, Stanley Charles Buckle, Johan Bezuidenhout, Johan Hamman, Matthw Krinsky, Thomas Arnoldus Villet, Manie Badenhorst, Andreas Belgrove, Brenda Bulman, Sean Field, Gareth Spencer, Adele Steyn, Brakel van Beukes, Ronnie Retief, Eric Saloman, Karola Venter, Elfred Fritz, Shaik Omar Razzak, Tania Abegglen, Louis - JNR Loubser, Lourens Loubser, Morne Theron, Tony Amaro, Patrick Assheton-Smith, Sheila Marian de Beer, Ella Lounser, Johan Opperman, Jaco Pienaar, Ralph Pietersen, Elani Rademeyer, Louis Loubser, Jacques Croome, Yao DDogbe, Dean Gouvea, Richard Perrie, Gustav Prinsloo, Jonitha Slabbert, Steyn Boshoff, Nathalie Cloete, Louis George Fivaz, Graham McAlister, Angie Passman, Aelene Rummel, Regardt Nicolaas van Rensburg, Wayne John Abegglen, Zoravar Singh, Mike Maxwell, Deon Minnaar, Debbie Hattingh, James Hurford, Matilda Le Roux, Graham Nel, Uys Nimb, Bruce Graham Phillips, Este Bezuidenhout, Chanrie Clarke, Douglas Meldon Drawbridge, Danny Du Plessis, Mark Horsford, Emile Le Roux, Kirsten Redenlinghuys, Werner Witte, Hendrik Coetzee, Christopher Hartzenberg, Albertus Snyman, Neil Whitehorn, Busiswa Damoyi, Colin Paul Du Toit, Ingrid Long, george Robertson, Benji-Ross van de Rheede, Trevpr Henry van Wyk, Alan Kearsey, Eddie Locke, Richard Promnitz, Ryan Charles Robertson, Russel Colin McCracken, Florent Toulet, Charl van Rensburg, Marco da Lanca, Sean du Plessis, Timothy Hartle, Jean Pierre Nortjie, Silvester Krivograd, Martelie Le Roux, Kobus Albert van der Merwe. 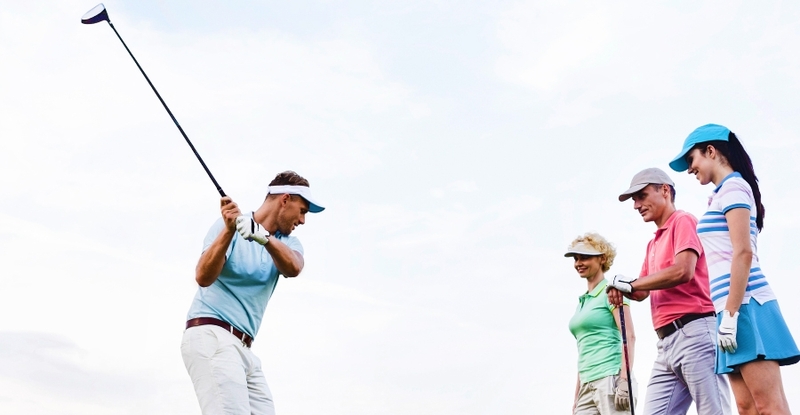 The higher lofted Fairway Wood is a great solution for a regular to slower swing speed golfer. The deeper CoG, and usually lower profile, helps to get the ball higher with a steeper landing trajectory. The ball stops quicker.